Vala also asked Yeddyurappa to seek a vote of confidence within 15 days of assuming office as the chief minister. BENGALURU: Amid intense jockeying for power and allegations of horse-trading, Karnataka Governor Vajubhai Vala today invited the BJP's B S Yeddyurappa to form the government in the state, prompting the Congress to move the Supreme Court accusing the governor of acting as a "stooge" of the saffron party. JD(S) leader H D Kumaraswamy, who has support from the Congress for chief ministership, accused the BJP of luring his MLAs with Rs 100 crore bait, while outgoing CM Siddaramaiah alleged that Prime Minister Narendra Modi was encouraging "horse-trading" to ensure the BJP returns to power in the state despite falling short of a majority. "I invite you (Yeddyurappa) to form the government and be sworn-in as the Chief Minister of Karnataka," a Raj Bhavan communique said after day-long politicking that saw claims and counter claims of support of MLAs. Vala also asked 75-year-old Yeddyurappa to seek a vote of confidence within 15 days of assuming office as the chief minister. Briefing reporters, BJP General Secretary Muralidhar Rao said Yeddyurappa will take oath here tomorrow at 9 AM. Prime Minister Modi and BJP chief Amit Shah are unlikely to attend the swearing in ceremony, party sources said. The Congress, which termed the governor's decision an "encounter of the Constitution", urged Chief Justice Dipak Misra to hold an urgent hearing tonight itself since Yeddyurappa is slated to take oath as chief minister at 9 AM tomorrow. 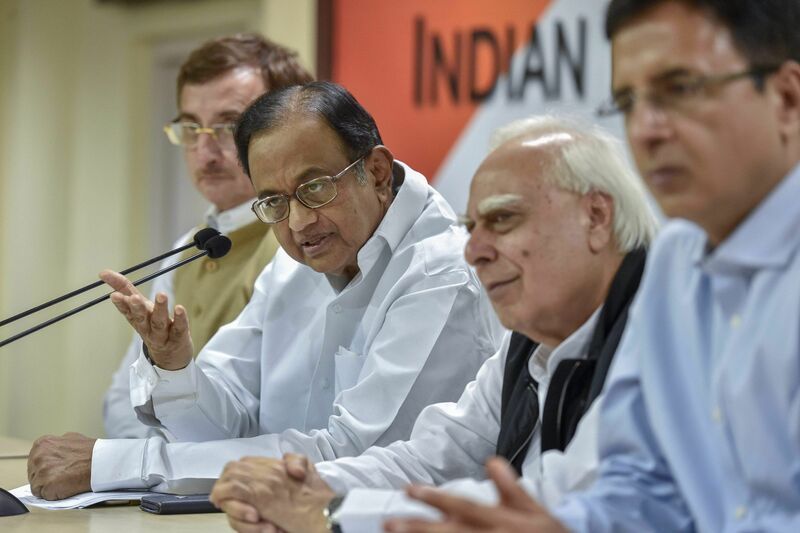 The Congress also launched a fusillade against Vala at a press conference, with Congress' chief spokesperson Randeep Surjewala dubbing him a "stooge" of the BJP and accusing him of 'encountering' the Constitution at the behest of Prime Minister Modi and the BJP chief. "The Karnataka Governor is acting as a stooge of the BJP. 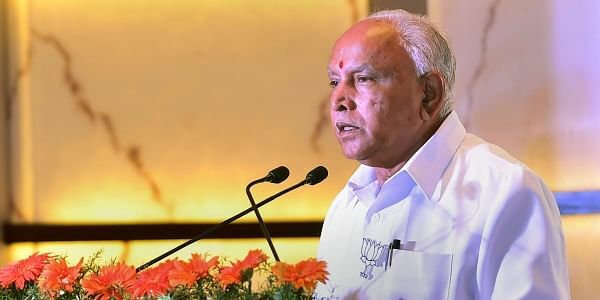 He has shamed the office of the governor by inviting the BJP to form government and allow its leader B S Yeddyurappa to take oath as chief minister," he told reporters. BJP, however, asserted that it would prove its majority in the assembly and dubbed the Congress-JDS post-election alliance "unholy and unacceptable." BJP national general secretary Rao said the understanding between the Congress and JD(S) was only "to keep the BJP off." Kumaraswamy slammed Vala's invite to Yeddyurappa and accused the Modi government of misusing Constitutional institutions. "We will not let it go easily. ", a furious Kumaraswamy told reporters here shortly after the governor wrote to Yeddyurappa asking him to take oath. Kumaraswamy said the governor should have given three or four days time for Yeddyurappa to prove his majority. "He (Yeddyurappa) has no majority," he said. Toiling hard to control the levers of power in Karnataka, Yeddyurappa and Kumaraswamy, the leader of the newly formed JD(S)-Congress alliance, had earlier met Vala and staked claim to form the government. With 104 MLAs in the 224-member Assembly, the BJP is the single largest party, while the JD(S)-Congress coalition, formed after the election results were declared, has 116 legislators. It has also claimed support of an independent MLA. With there being precedents of both governors inviting either the leader of the single largest party or that of a post-poll coalition to form the government, Vala, a former RSS-BJP veteran from Gujarat, opted for the former. Earlier in the day, Kumaraswamy claimed the BJP had offered his MLAs Rs 100 crore and ministerial berths to break ranks and back the saffron party. The allegations were promptly dismissed by the BJP, with Union minister Prakash Javadekar dubbing them as "imaginary". "Our MLAs were offered Rs 100 crore by the BJP to break away. I want to know whether this is black or white money," Kumaraswamy told a press conference earlier. "The JD(S)-Congress combine has 116 MLAs (including JD(S) pre-poll ally the BSP). The BJP is trying to misuse its power being at the Centre and form its government through horse-trading," he said. Javadekar strongly rebutted the allegations, saying, "This (talk of) Rs 100 crore, Rs 200 crore is imaginary. The BJP is not doing this. We are not in the habit of practising horse-trading. This is the kind of politics JD(S) and Congress do. We are going by the rule book and we will form the government." Kumaraswamy also alleged the BJP was trying to repeat "Operation Kamala" to come to power. "Operation Kamala" was a term used in 2008 when the BJP did not have a majority of its own in the Assembly and its leaders managed to persuade three Congress and four JD(S) MLAs to resign, allegedly by offering them money and office. There were reports that MLAs of the JD(S) and Congress would be lodged in tourist resorts to ward off threats of "poaching" by the BJP. The Congress had earlier indicated that it could move court if the governor does not invite the JD(S)-Congress combine to form the government in the state.